When we launched our new feature that allows you to create decision trees from Excel and Google Sheets, we had no idea this feature would be as popular as it has become. Some of our bigger clients, in particular, have really run with this and suggested a lot of great improvements. Fix: Validates Tree IDs on spreadsheet import for tree nodes. Fix: Importing and replacing a tree keeps the tree’s settings intact (Elliott). Update: Spreadsheet import allows columns in any order (Elliott). Update: Spreadsheet import allows for a Tags column (Jamel). Fix: Errors in spreadsheet import won’t delete a previous tree if we’re replacing a tree. Fix: Importing Excel with line breaks in cells now works properly, retains line breaks (Charlie). Fix: Importing pasted spreadsheet data now saves the first iteration in Snapshots tool. Update: Spreadsheet import can now include TREE and LINK nodes (Elliott). Update: Exporting CSV tree from Overview/Simple now adds TREE and LINK node types into CSV data. Fix: Importing trees with button links to non-existent nodes now sets the link to “unlinked” (Elliott). Fix: Agent Portal now shows merge variables for agent_name (Craig). Update: Added Agent List export to the My Agents page (Gene). Update: Added more error checks to Add Multiple Agents input tool. Update: Made show/hide tree name option more visible in iFrame Advanced Options. Fix: Copying a Gallery tree into a new account works properly. Update: Max attachment size in email nodes increased to 25 Mb (Dan B.). Update: Merge variables now has an option to retain plus characters (Chris). New: API call to delete session data from our servers for a particular session ID (Jay). Fix: email-session-info occasionally failed when data was entered right before sending (Alok, Craig). 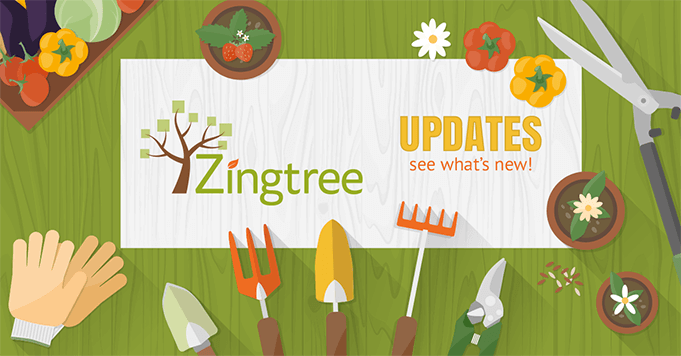 Got a suggestion to make Zingtree better? Give us a holler. NextCan Agent Scripting Improve Your Call Center KPIs?